Every woman has heard stories regarding Fountain Of Youth with its huge flowing serums stream, when sipped in a delicate manner has an ability to turn your skin into the softest satin that you can only dream of. But fact remains that Fountain Of Youth was just a dream and it does not really has an existence, so they are pretty much still in search of that serum, which can give their skin such a favorable experience. Find below details of top 10 best skin care brands in the world 2017. Este’e is the staple skin-care brand that is not only famous in US but also in U.K., Spain, Russia, Taiwan, and United Arab Emirates. The most sought after product from this skin care brand is the anti-aging serum called Lauder that works while you sleep. You can get Estée Lauder Advanced Night Repair by paying $68. One of the most important things about this product is that it gives you three things in one by acting as a cleanser, toner and makeup remover. Not many predicted that this classic lotion company would reach such a magnitude in terms of following. 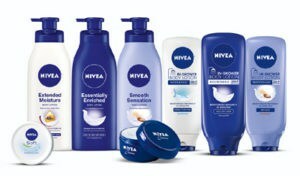 Nivea as a skin care brand is quite popular all around the globe. And one of its famous products is Q10 collection, which plays a prominent part in smooth aging and dimpled skin. You can get Nivea Q10 Skin Firming Hydration Body Lotion by paying $10.36. To get the best out of this product, it is recommended that you use it straight after shower. The 140-year-old company begin his journey as a pharmacy in Japan and at this point of time is on top of the ladder as a skin care brand all around the world. The most sought after product from Shiseido is not a cleanser or a moisturizer, instead its classic sunscreen, which gets doubly effective when exposed to water. You can get Shiseido Ultimate Sun Protection Lotion by paying $40. 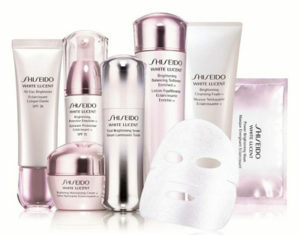 Another offering from Shiseido which is quite famous is its sheet masks. Shiseido’s Benefiance line is infused with retinol, tailor made for those Sunday-night routines. You can get Shiseido Benefiance Pure Retinol Intensive Revitalizing Face Mask at $63. One of the best skin care brands in the world, the best part about L’Oréal is the kind of variety it offered in terms of products. L’Oréal’s best-seller worldwide is The Age Perfect Cell Renewal face serum. With the price tag of just $24.99, it’s worth it especially when you compare it with the other anti-aging serums. The cushion compact may not come under the category of skin care, but the fact remains that formula will leave your skin happy all throughout and that too at a affordable price. You can get L’Oréal True Match Lumi Cushion at just $14.99. Coming from France, Lancôme as a skin care brand has gained tremendous reputation in the last five years or so. Lancôme Bi-Facil Double-Action Eye Makeup Remover is one of the best products that you can ask for in just $15. The beauty of this makeup remover is that it is ideal for getting rid of waterproof makeup, without leaving an oily residue behind. 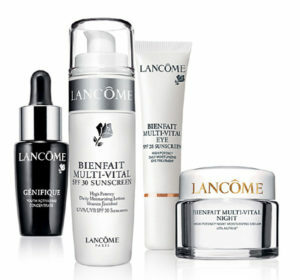 Lancôme Bienfait Multi-Vital Daily Replenishing Oil with price tag of $49 is also a good deal. This botanical-based night oil offers you extra hydration boost, playing a prominent part in repairing your skin. This US based skin care brand is making its presence felt in the global skin care products market. Neutrogena Ultra-Sheer Dry Touch Sunscreen at $7.97 is worth a deal. The light and non-greasy formula of this sunscreen absorbs quite fast and in the meantime holds up in humid and dry heat. Neutrogena Rapid Wrinkle Repaid Serum with the price tag of $23.99 is a lightweight serum that has retinol to brighten your skin and hyaluronic acid for hydration purpose. The French skin-care brand is quite popular all around the globe, thanks to its Effaclar line, which plays a pivotal role in purifying your skin and that too at the price of $15. 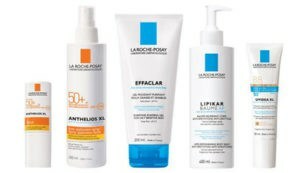 La Roche-Posay Effaclar Gel Cleanser is basically a gentle, foamy cloud, with zinc extraction involved as well. Another favorite product of La Roche-Posay is Anthelios 60 Ultra Light Sunscreen that leaves a matte finish. What’s more, you can use it as a primer for makeup to help fight UV rays. You can get this sunscreen by paying just $24. Talking about Clarins, it is one of the best skin care brands coming from the fashion capital of the world, Paris. 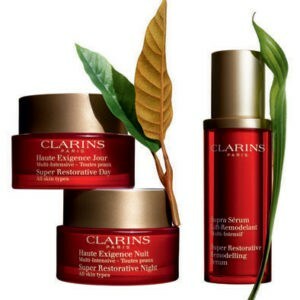 One of the best products of this brand is Clarins Multi-Active Day. The price of this product is $53. The beauty of this classic day cream is that it comes packed with antioxidants to help keep your skin glowing all throughout the day. Furthermore, it features Myrothamnus extract, which fights environmental triggers in an effective manner. And then there is Clarins Mission Perfection Serum at $72, which targets dark spots and acne scars. 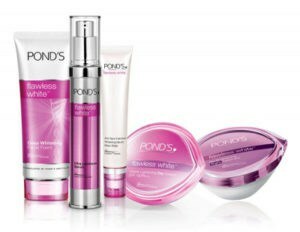 The popularity of Pond’s as a skin care brand is increasing with every passing day. The main reason responsible for this popularity is their new Silk Cream. This cream, with its 24-hour moisture benefits, is the talk of the town. Non greasy finish is guaranteed thanks to the silk extract. Another good thing being the price factor, which is just $12.97. And then there is Pond’s Cold Cream Cleanser for $ 7.50, which is quite good for the overall feel of your skin. 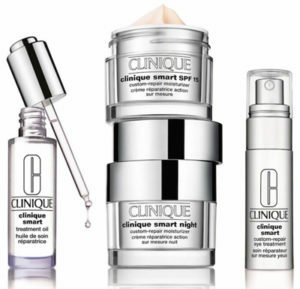 New York-based Clinique might be US skin care brand but it is making a mark all around the globe, thanks mainly to their quality products. When you think of this skin care brand, immediately comes in mind its traditional three-step program or its iconic yellow bottle of lotion. The most popular item worldwide, however, is this pink, moisture-packed gel lotion, which gives your skin a much needed dewy effect. By paying $52.50, you can get your hands on the Clinique Moisture Surge Extended Thirst Relief. Another popular Clinique product is Clinique All About Eyes Serum with a price tag of $30. For puffy-eye treatment, you cannot ask for a better product.